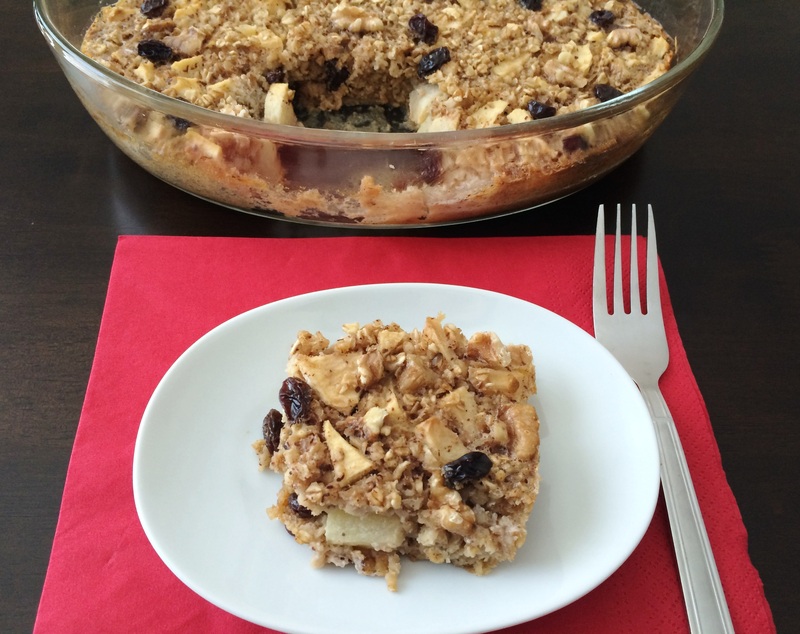 For people who prefer sweet breakfast….like me! Add oats, baking powder, sugar, nuts and salt to the baking dish. Mix well and spread it evenly. Spread apple pieces on top. Whisk milk, egg, vanilla essence (and honey if you are not using sugar) and slowly pour over the oats. Bake in preheated oven at 150 degree Celsius for approx. 25-30 mins or until set. You can use any combination of fruits you like and follow above recipe. 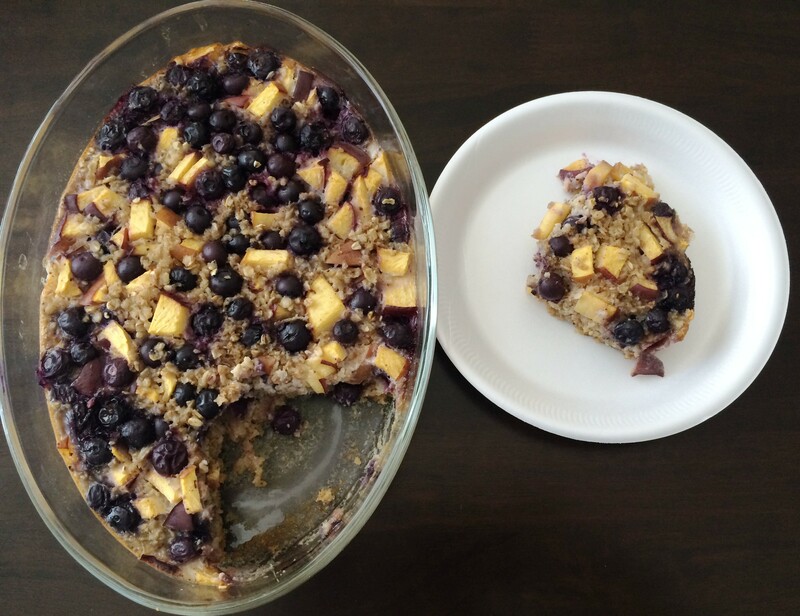 This entry was posted in Breakfast and tagged apple cinnamon oats, baked apple oats, baked oatmeal, blueberry oats, fruits oats by PriyaBaby. Bookmark the permalink.